The North Central Region AGM 2019 is to be held at West Midlands Showground, Shrewsbury, SY1 2PF from 9th-13th May 2019. Please come and support the region AGM at this beautiful site in the heart of Shrewsbury. 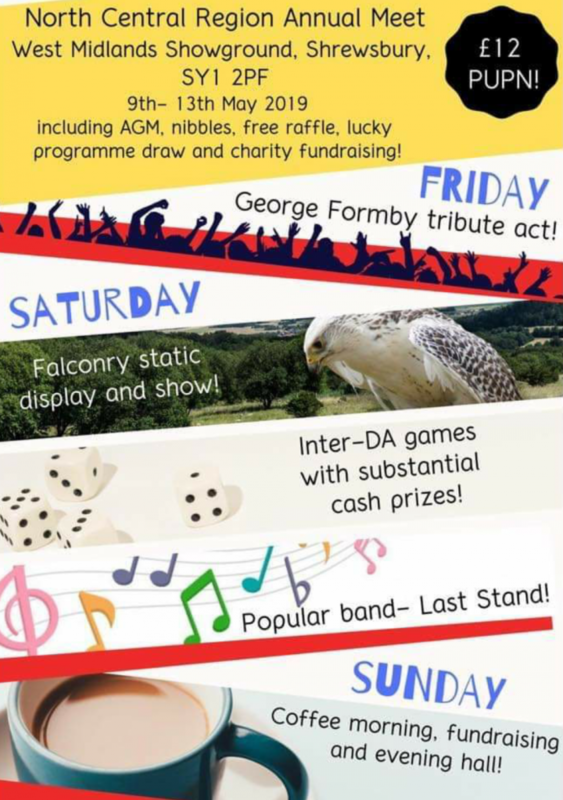 There is a full programme of events including a disco on Thursday evening, live entertainment on Friday evening, a Falconry display on Saturday afternoon, live entertainment on Saturday evening and a quiz on Sunday evening. On Saturday afternoon we are bringing back a games competition which will be suitable for all ages. There will be a £50 prize for the winning team. We will also be running an inter DA/ Section competition for DA’s and sections within our region with a £300 prize for the winning DA/Section and £150 for the runners up, however for the inter DA/Section competition we will need a minimum entry of three teams from different DA’s/Sections for the competition to run. On Saturday afternoon we will be running a Penny Fayre. The region will be running a raffle and tombola and the proceeds of these will be going to the Region Charity for the year which is Prostate Cancer UK. 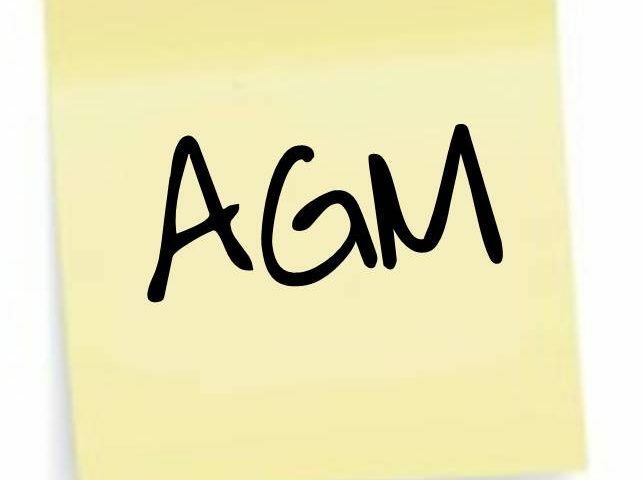 The Region AGM is also being held over the weekend and this is your chance to have your say, the Club’s Immediate Past Chairman, Mel Hill is attending on behalf of HQ. This will be followed by the Chairman’s reception to which everyone on site is invited. There will be a lucky programme draw and a free raffle for those attending the AGM. The fee £12 per unit per night. Previous Post:Coming Soon – Easter Meet – Thursday 18th – Tuesday 23rd April.